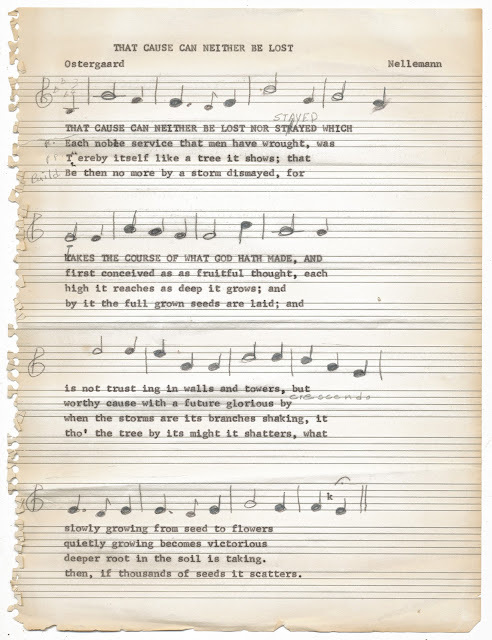 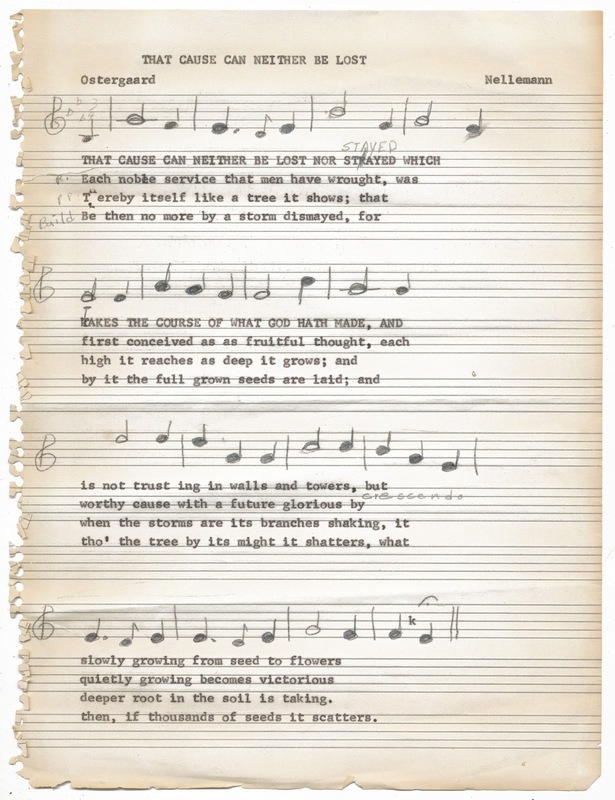 One sheet of handwritten/typed music, titled "That Cause Can Neither Be Lost." 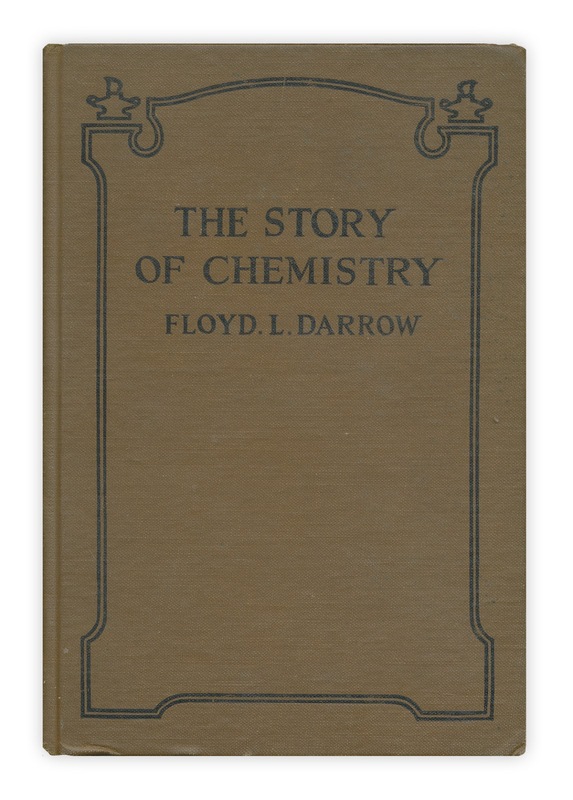 Found in "The Story of Chemistry" by Floyd L. Darrow. Published by The Chautauqua Press, 1928.